All too often, you find yourself in a position where people don’t see your potential – and that can get very discouraging. But you know more than anyone else what you’re capable of – just don’t forget that when you don’t get the reaction you deserve. While others may see you as emotionally detached and uncomfortable with intimacy, you are a true humanitarian at heart. You value a sense of community and you’re the driving force that will ultimately bring people together. Though you love immersing yourself in your fantasy-fueled world regularly, you realize the importance of staying grounded when necessary. You’re a dream-lover but also one who is quite flexible with change, and you’ve mastered the art of adapting yourself to fit the needs of any situation. People associate you with being an alpha female like it’s a bad thing. And although at times you can be a bit aggressive, you’re heroically compassionate for anyone in distress. Your sign is one of hard work and routine, but others should think twice about questioning your ability to let loose. As a lover of the arts, you are the life of the party on the dance floor. You have many different sides to your personality, you dip your feet into just about everything because you can. Others may see this as restless, but you’re actually quite skilled in focusing your energy on the things that matter–-a jack of all trades and a master of many! Cancers generally get a bad rep for being “overly moody” or “too sensitive” although your hypersensitivity provides great service to others in times of need. You have a nurturing and maternal energy that allows people to come to you to feel safe and whole again. People assume that your ability to nitpick about every little thing is a result of being judgmental, but that’s far from the truth. You strive for perfection, and simply want others to also reach their highest potential. People see your charming nature and mistake you as naive and selfless. But you know very well how to maneuver and get what you want (as long as it doesn’t sabotage other people in the process). 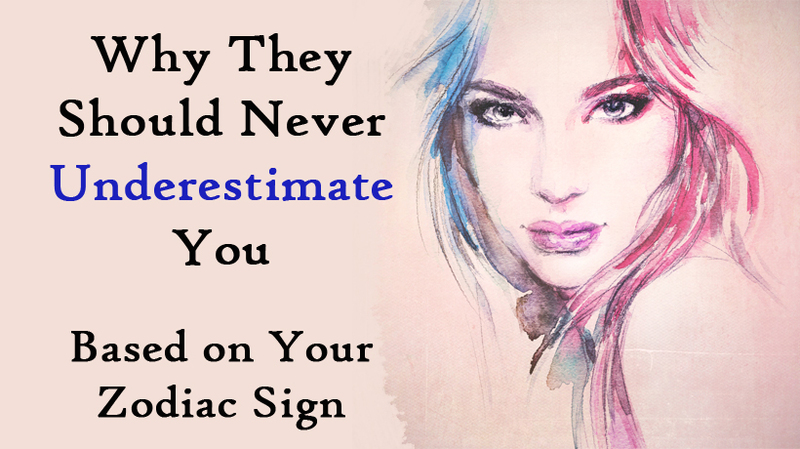 You are the most often misunderstood sign of the zodiac due to your mysterious and secretive nature. Although you may appear reserved, people seldom realize your intense, passionate energy until provoked. Your thirst for adventure is insatiable, and for good reason. You have a free-spirited nature and you hate feeling ‘tied down’ or restricted by any means. You may go to great lengths to protect this freedom, even if it means letting some people go. Your drive at accomplishing your goals is one to be reckoned with. While others may set resolutions at the start of each new year, you’re likely to set new ones each month (and stick to them)!